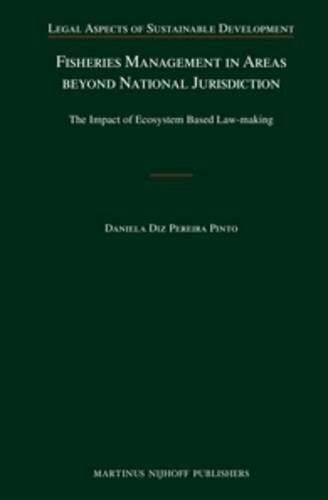 This book analyses the law-making of ecosystem-based fisheries management in marine areas beyond national jurisdiction as a post-development of the United Nations Convention on the Law of the Sea (UNCLOS) so as to avoid stocks collapse and destruction of critical habitats, and increase the resilience of marine ecosystems. Daniela Diz, Ph.D, (2010) in Law, University of Edinburgh, is Marine Policy Officer at WWF-Canada and writer for the Earth Negotiations Bulletin. She holds a master of marine management from Dalhousie University and a Law degree from the Federal University of Rio de Janeiro, and has previously worked as an environmental lawyer in Brazil for over eight years. DANIELA DIZ PEREIRA PINTO, WORLD WILDLIFE FUND.